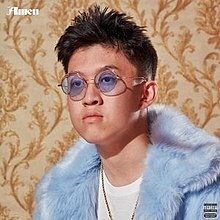 Rich Brian’s debut album Amen (February 2) and Nipsey Hussle’s debut album Victory Lap (February 16) were both great releases to kick off the year. Both were highly anticipated and lived up to the hype. Rich Brian gave us a different side to him and not just the Rich Chigga we had became acquainted with. 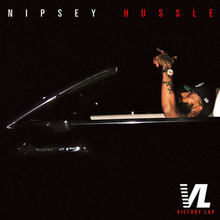 Nipsey on the other hand came through with the flexes, told us stories, and went around for the victory lap. Somehow Nip was already an icon before giving us his debut album with YG, Kendrick Lamar, Puff Daddy, and many others helping him stunt. 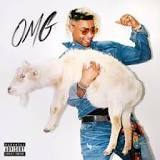 Ronny J released his major solo debut, OMGRONNY (February 23) with a phenomenal guest list, Ski Mask the Slump God, Denzel Curry, XXXtentacion, and several others join Ronny on an epic adventure full of vibrant beats and wonderful mumble raps. J Cole dropped KOD (April 20) to help lead the youth in a better direction. KOD kicked off an amazing year for Cole who was featured on tons of great tracks and ended beef with the Soundcloud rappers as well as went on tour with our lord and savior Young Thug. Playboi Carti released his debut album, Die Lit (May 11) just two weeks before his mentor A$AP Rocky released his newest effort that the people had been dying for TESTING (May 25). Rocky tested new waters and brought together sounds and genres never mixed with bars like his before, the experimental hip-hop album is a great listen from beginning to end. It was released the same day as Pusha T’s Daytona. King Push definitely dropped the best album from the Kanye 7 track series. It also helped to reignite the flame of the Drake-Push beef and gave a back and forth so clearly won by the GOOD Music president. Kanye West released his solo album Ye (June 1) and his collab with Kid Cudi KIDS SEE GHOSTS (June 8) both to the same reception as anything he does. His fans loved both 7 track albums dearly, but everyone else continued the 2018 eye roll of Kanye+Trump. Both albums have some great tracks but are far from perfect and what we deserve from Kanye albums. Jay Rock released the album of the year Redemption (June 15) on which every single track is a flawless gem. Guests from James Blake to the queen SZA to the king Kendrick Lamar help elevate Jay Rock’s skills to another level. Bars to bops to feels to strutting the TDE victory Redemption is a well-rounded project I couldn’t have fallen more in love with. To finish out one of the better months of the year, Michael Christmas (whom I had never heard of) released Role Model (June 22) and with tracks like “These Days”, “Honey Berry” and “Everybody Eat” with Cousin Stizz the album has some excellent songs throughout it. Denzel Curry’s Ta13oo (July 27) and most of the August 3rd releases YG’s Stay Dangerous, Travis Scott’s ASTROWORLD, and Mac Miller’s Swimming didn’t exactly live up to the hype. Denzel’s album had a few great songs like “Sumo” and “Clout Cobain” but was mostly below average tracks. The same goes for Stay Dangerous and in my unpopular opinion ASTROWORLD. I know “Sicko Mode” is supposed to be handed to us straight from the gods of hip-hop, I thought it was solid but definitely not the life-changing album was meant to be. Mac Miller on the other hand gave us a raw and expressive album with bars and bops with jazz influence and him really tapping into his singing potential. Swimming became my 2nd favorite Mac album and heartbreakingly will be his last, that being said most of the album especially the lead single “Self Care” have a much darker and more depressing overtone with that knowledge. That doesn’t change the fact that it’s a beautiful album and one of the best of the year. Joey Purp released QUARTERTHING (September 7) and Lil Baby & Gunna released Drip Harder (October 5) both to exceed my expectations. Purp released his album with Wu-Tang clan member features and some heavy bumping conscious trap songs. Lil Baby & Gunna who I didn’t expect to actually drip as hard as they do, released an excellent collab project with lots of epic features from their influences and fellow new age rappers. Both albums are great and much better than I expected them to be. November was by far the best month for rap music in 2018. gianni & kyle released a breathtaking project combing a wonderful singer and high-caliber rapper in She’s No Angel (November 1). Vince Staples released a refreshing new album FM! (November 2) that put him on a different wave from everyone else. The concept of the radio show with the magical style of Vince Staples came together for a unique album people should definitely respect. Metro Boomin’s Not All Heroes Wear Capes (November 2) gave us the return of the best hip-hop producer of all time. Metro didn’t let us down with all the wonderful features including a Travis Scott and Young Thug collab. J.I.D. released possibly the most intriguing album of the year in DiCaprio 2 (November 26). With features from his Dreamville boss J Cole as well as New York legends Method Man, A$AP Ferg, and Joey Bada$$, J.I.D. mumbles his way through higher lyrical levels than anyone else in 2018 and showcased some next level flows throughout. Ski Mask the Slump God gave us a proper album in Stokely (November 30) with many bangers. Ski is taking over the game through his use of unique flows and there are several examples of that on this album. Meek Mill’s Championships (November 30) was maybe the best full length project Meek has blessed us with yet. Reuniting with Drake and bringing along many other top-tier rap stars, Meek still holds the spotlight throughout bringing tears to any rap fan’s eyes. The month of December was won by 21 Savage alone. In his newest album 21 shows his self growth and becomes a better rapper than ever before. On I AM > I WAS (December 21) the album starts with a song sounding just as great as he always has been. However, as the album progresses there are so many more sides to 21 Savage the artist that are portrayed from track to track. The year started strong and ended stronger with 21 Savage giving us a lesson in self-growth and being a real one. Hopefully we get another full-length 21 Savage X Offset album in 2019. This is a small list compared to all the albums hip-hop gave us in 2018. I had to take time to carefully reflect and make the right choices for the list, despite not ranking them in order of best to worst, there are still some albums here that outshine the rest. All of them should be listened to and enjoyed and are definitely worth the play. Get a sample of the albums listed here on the Weekly Waves playlist and come back for more fresh content daily. Previous Previous post: Nyjah Huston – ‘Til Death : A Comprehensive Review.